This week, celebrating is a natural thing to do. One: I celebrate the hard work and team work it takes to perform in front of others. All 120 students performed four times for friends and family, reciting the preamble to the Constitution and the fifty states and capitols. All 120 students ran a mile, a traditional fifth grade race, with the entire school cheering them on. For some students these tasks were easy. Some are natural performers and athletes. But for most, this took a bit of courage and perseverance. They were nervous, jumping and pacing before each event. For these moments they were all stars. Two: I celebrate storytelling as a pathway to learning and writing. Students had researched and written reports about Westward Expansion, but their work was rather lifeless. Their voice was lost in the facts and dates they had taken in. Most did not connect the various parts. Inspired by a post from Steve Peterson, on the power of narrative in content learning, and a visit from our TCRWP staff developer Katie Clements, who worked with us to help students find their own voice in writing about reading, I decided to celebrate their writing through storytelling. 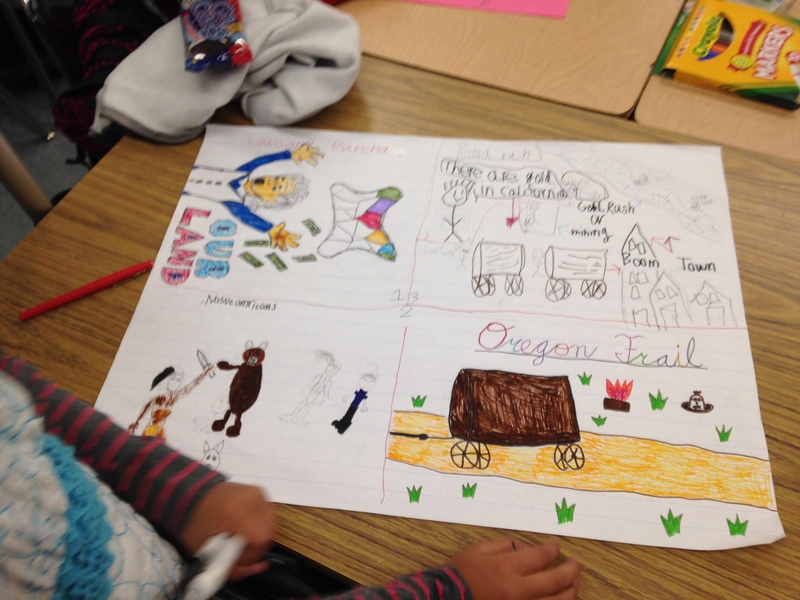 I gave students paper, markers and invited them to tell the story of Westward Expansion. Most students split the project up into the pieces they knew well. Then they presented their stories to the class. All were unique. Some told the story as a chronology. Some told pieces of the story as cause and effect, while others saw their part as a problem with needed solutions. The hardest part for students to articulate was how the story connected. As students presented, we kept track of ideas. After each group we looked for patterns that led students to see more about how the story might fit together. I was fascinated by this process. Structure was a natural outgrowth. Voice was present in the drawings and the presentations. These elements that I struggled to capture instructionally came out as students revised their work by telling the story together. After their presentations, all saw the need to revise their writing. Three: I celebrate the joy in giving gifts. Students came early to class on Friday, arms filled with presents. They begged me to open them. 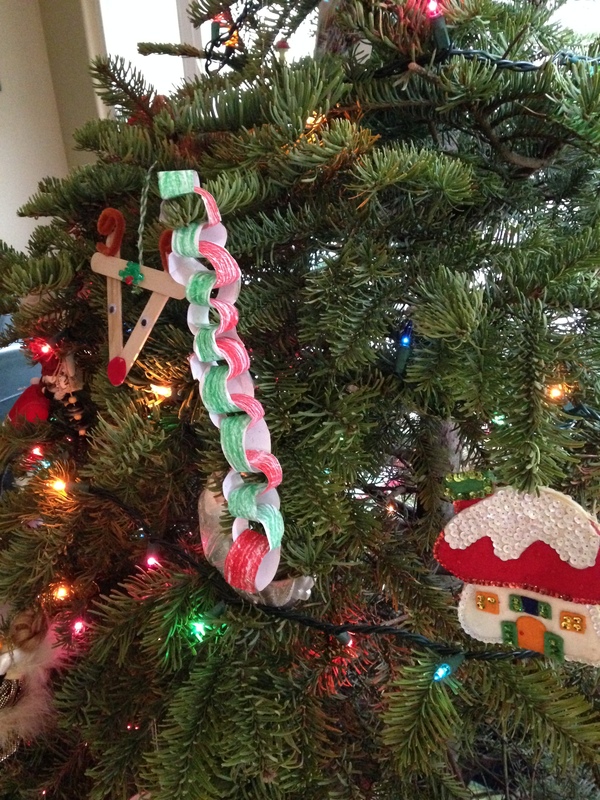 I loved the mugs, the candy, and the ornaments made just for me. Four: I celebrate the end of our read aloud: Wonder. We had a lot to finish in the Julian chapter, but students sat rapt, begging to go on. I was glad to oblige and sipped tea to keep my voice alive. Between the two classes, I spent nearly two hours reading aloud. Not a bad way to end 2014. Five: I celebrate winter break and the time with family. I’m ready to let 2014 wind down; reflect, relax and look forward. Thank you Ruth Ayers for the opportunity to Celebrate This Week. Find other celebrations here. Wonderful celebrations! I especially loved picturing you sipping tea to keep your voice strong as you finished that readaloud. I can’t imagine any better way to end 2014 in your classroom either. What a wonderful bunch of celebrations. I wish you a fantastic week to come. I love this project you shared. Giving me ideas . . . Have a lovely holiday time with family! Beautiful way to end your winter term with a read aloud. We are just about to add a few more decorations to our tree and then tea and family reading time! Loved hearing about your collaboration in the visual to make further meaning in their research. It seems to me that the visual is so important in understanding more deeply. Glad to hear that from your experience, Julieanne. And love the gift of personalized pens-great idea. Have a wonderful break! How powerful, Julieanne! Those connections are so difficult to articulate, for sure. I have a hard time, but oh what fun to try. And, I suspect, those connections are often (mostly? always?) made through language; with all of its messiness and half-starts and start-overs, there is something super-important about even the attempt to find the words to connect the parts together. So interesting, that process of words calling forth ideas, then ideas shaping words. Thank you so much for sharing your thoughts/experiments. I learn so much from these. Finishing strong. I am glad that your students found their voice through storytelling. The experience will help them in the future too. Wishing you a fabulous holiday season! There is much to celebrate in your post. Thank you for sharing. Enjoy the break. Rest well, and best wishes for the New Year.